But that is just being lazy. Really! With a little research and conversation we can become skilled enough to get by in just about any area we desire. We have Google, and friends who know stuff that we don’t, and then there are always the old standbys- practice and intuition. Where are you dining and where does the establishment source its ingredients from? 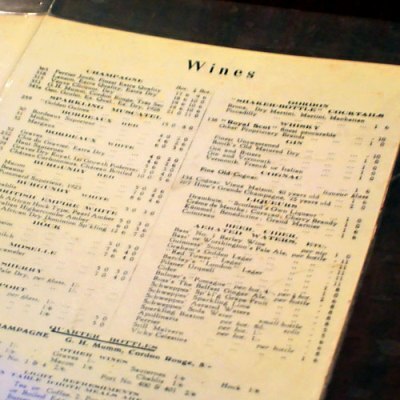 Chances are, if they care about where their eggs and onions are coming from, they’ll give a second thought to the quality of their wine list. Do they have someone in particular in charge of tasting and choosing their wines? Talk to them. Which importers and distributers do they work with? The answers can say so much about the value you will get from any choice you make. And then more specifically- What are you eating? Who are you with? How much do you want to spend? What do you like? 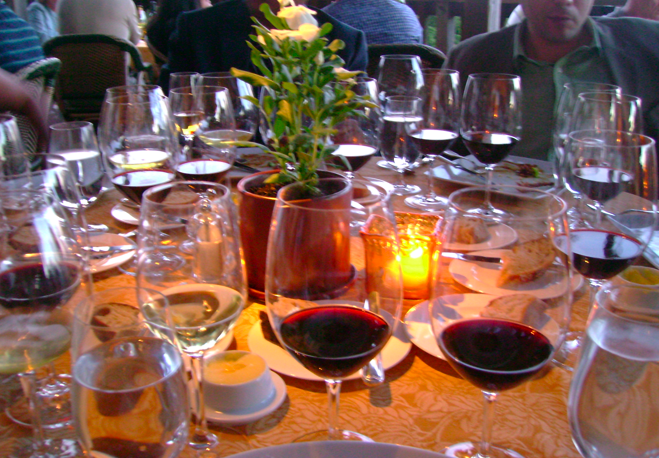 We know what dishes we want to order, the ingredients that go into them, why not wine? Whether we realize it or not, every sip is study. When you are in the moment, you have to do it yourself. It takes constant attention (and maybe obsession?) to stay on top of every detail about every wine out there (by the way, Jancis Robinson reports today that 2010 Northern Rhones are looking good- earthy earth), but knowing a few basics is enough to start- understand the countries, then regions, then grapes- or reverse the order- no matter! Ask questions. Don’t be afraid or embarrassed. Think about it- you know more than you think you do. You can do it! I promise. And if your choice is not the best every now and then (assuming the bottle is not defective), smile and enjoy it just the same. A lesson learned. If you are in good company (always be in good company), it won’t be too hard.